you will save over 50% when your order from this special early bird page today! Traffic is the lifeblood of any blog. You can have the best product or service in the world. You can have a killer blog that could sell a pint of whisky to a nun. But, if you don't have any prospects seeing your blog, you won't make a single cent. That's why we marketers spend so much time, effort and money trying to put our blogs and offers in front of targeted leads. But it doesn't have to be that hard... not when you know which marketing method works best for driving a lot of traffic. Firstly, social signals is quickly becoming one of the most important factors when Google decides how well your blog should rank. To put it simply... The more people you have sharing your content the more important you look to Google and the higher they will rank you. 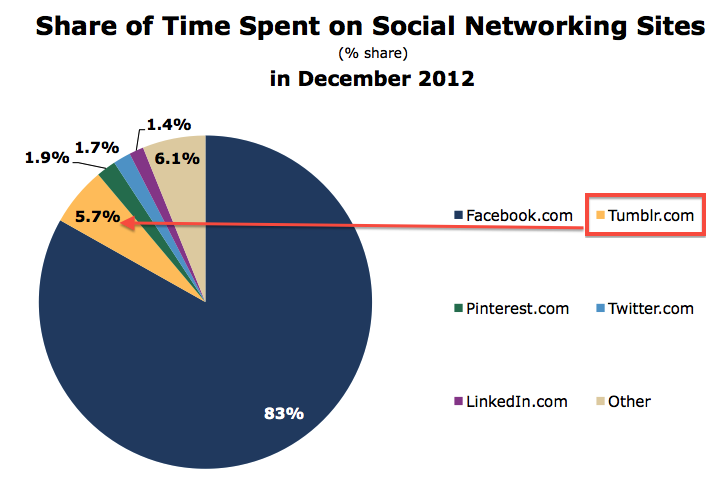 But, social sharing is not just important for search engine rankings. When people share and like your content on social networks, their friends and followers will not only see your link - they get the chance to share and like it too - making your link go viral and bringing even more eyeballs to your site. In fact, chances are that you will get even more traffic directly from the social sharing sites like Facebook and Tumblr than you will from the resulting ranking benefit in Google. Recent studies have also revealed that the majority of internet users base their online shopping decisions on recommendations they have seen on social media sites. So, not only will social media bring you more traffic - it will bring you the right kind of "credit card in hand, I'm ready to buy now" visitors. Bottom line: getting people to share your blog content on social media sites is massively important these days! If your blogs are anything like the average blog out there - that Facebook like button you put up is likely still sitting there with a big fat zero on it. And chances are very high that you are not getting the social traffic you want (or deserve). You don't have to sit around twiddling your thumbs waiting for an algorithm or other people to do your work for you! You can easily kick start traffic by sharing your own content on social media. In fact... Keep reading to see a case study proving how Covert Viral Wizard can bring in 400 visitors to your blog overnight using this strategy! But of course the real magic happens when you get other people to share you content on social media. Not all content is created equal... Some types of content simply get more shares than others. But don't worry! We're not about to tell you that you need to write hundreds of pages of unique quality content that would be good enough to win you a Pulitzer Prize! The solution is really easy! All you have to do is log in to your Facebook account and have a look at your wall. You will quickly realise that the vast majority of the posts your friends like, share and comment on are photos and images. 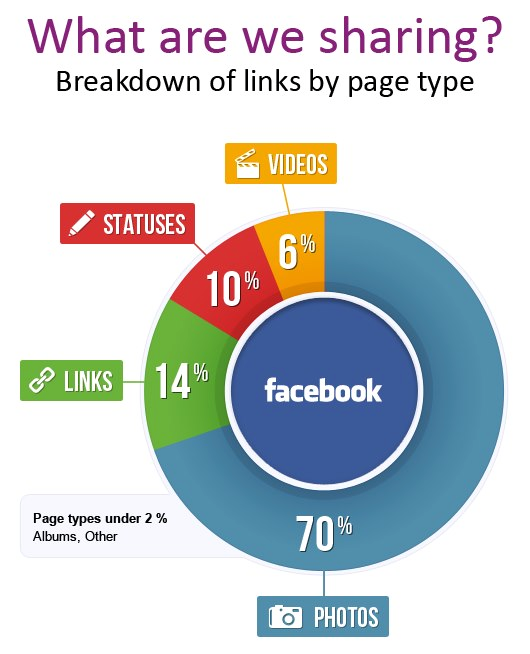 And this is universal - in fact 70% of all shared posts on Facebook are images or photos! 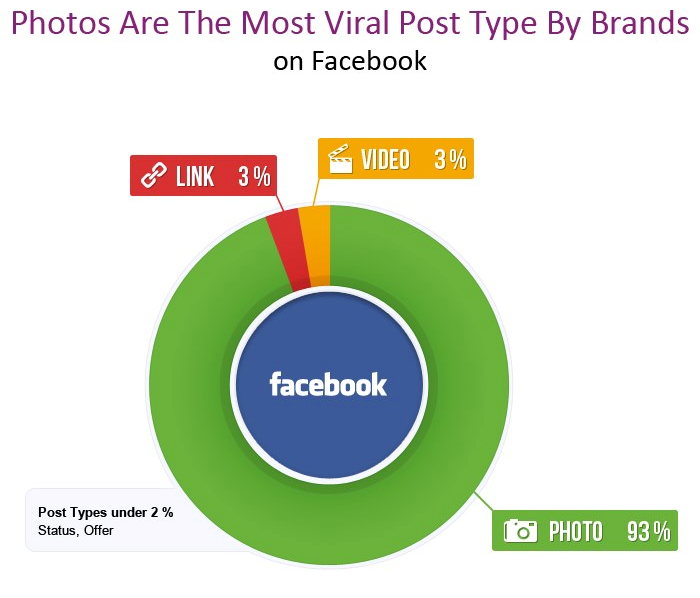 But it gets even more interesting when you look at what type of posts are most likely to go viral on Facebook - 93% of all viral Facebook posts are images or photos! And this is not just on Facebook... The story is the same on all the social networks! In fact some of the most popular new social networks like Pinterest and Tumblr are completely image based. And even an old school social bookmarking site like Digg has turned to an image based format in order to regain marketshare. It means you down have to write endless pages of boring content! In fact since images win the social sharing contest by such a huge margin - you don't have to write any content at all - to generate huge amounts of social traffic! Facebook is the 800lb gorilla of the social networks and you should definitely include them in your social media strategy. Anything else would be insane - and as you will see below the Covert Viral Wizard theme has everything in place to pull in viral traffic from Facebook! But Facebook is not the be all end all of social networks. 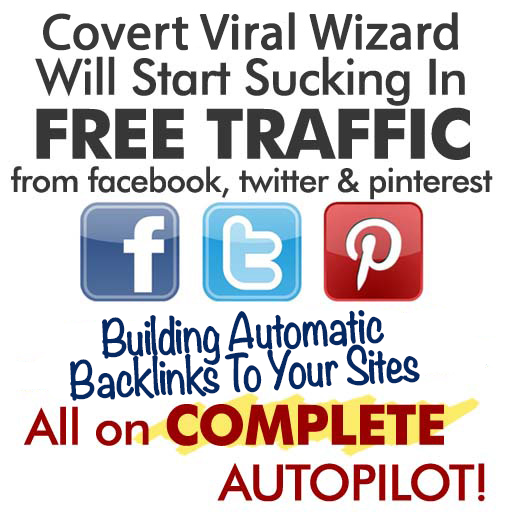 There is tons of traffic to be found on sites like Reddit, Pinterest, Twitter, LinkedIn & Google plus - and the Covert Viral Wizard theme of course integrates with all of these! We also do a lot of traffic testing when we develop our WordPress themes - and we have recently found an up and coming social network that is poised to blow everything else out of the water! 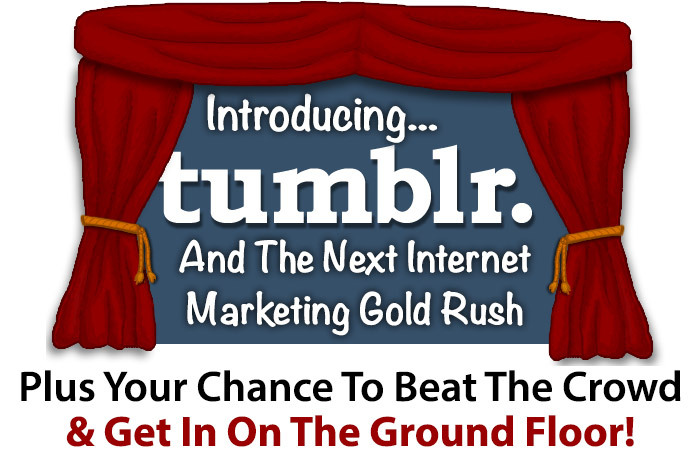 You may be thinking that Tumblr is free blog host (much like Wordpress.com) and not a social network! It's one of the fastest growing social networking sites in the world, with a young, vibrant and very active user base who loves to share content. Yahoo recognized the amazing potential of Tumblr... and back in May they purchased it for a whopping $1.1 billion, making Tumblr founder (and high school drop out) David Karp America's next tech tycoon. Tumblr users are younger than the average users on for example Facebook. This is great news since big companies are fighting over the lucrative under 35 market - and this means much higher ad revenue for you! 42% of new posts on Tumblr are image/photos. Again this is great news since it means you don't have to write a lot, and the users are already conditioned to share your images. Google also loves Tumblr blogs, making it a very viable way to rank high and build quality links to your other sites. Tumblr users LOVE to reblog (share) content. In terms of social sharing it is the most active social network in the world. 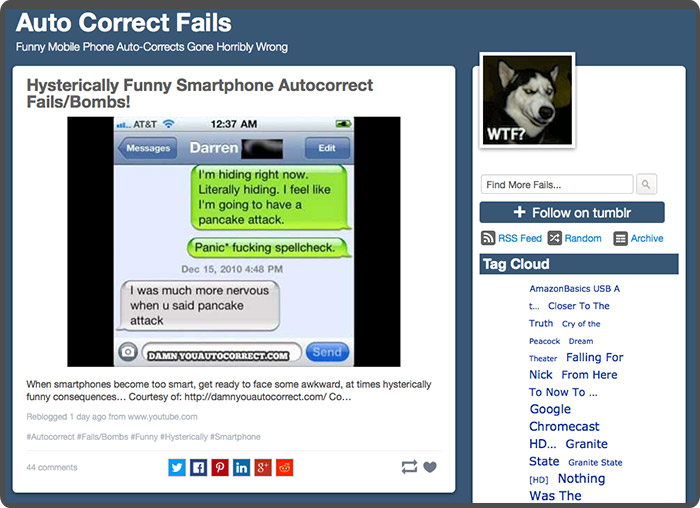 Firstly Tumblr is not very marketing friendly. Using Tumblr to build blogs for profit is generally frowned upon by the community. A Tumblr blog that is obviously used for marketing is highly unlikely to generate any reblogs, likes or traffic at all. A Tumblr blog that has ads and links on it also runs a very real risk of getting deleted outright - in which case you will loose all your links and content - not to mention the wasted time. Secondly, you never want to put all of your eggs into one basket... Especially not a basket you don't control completely yourself. Who knows what Tumblr will do in the future and what happens to your content and all the hours you have put in then? So while we recommend that you start using Tumblr - we don't recommend that you use it as your main blogging and content platform. We saw that using Tumblr was very beneficial - but also problematic at best - especially the fact that it is hard to monetize, and we are in internet marketing to make money after all - right? As you may know... we are huge fans of WordPress. Not only is WP both easy and free to use... Google also loves the WP platform so it's great for SEO and getting free traffic too. Tumblr and WordPress go hand in hand... And it would benefit all WordPress bloggers to have a Tumblr blog too. Why don't we combine the two? Make a WordPress theme that mimics Tumblr to bring you all the benefits to your own site - while at the same time integrating with and sucking traffic and backlinks from Tumblr, Facebook and all the other social networks on auto pilot? Plus with 4 previous best selling WP themes under our belt it made sense for us to pull on that experience and incorporate the best features from our previous work too. 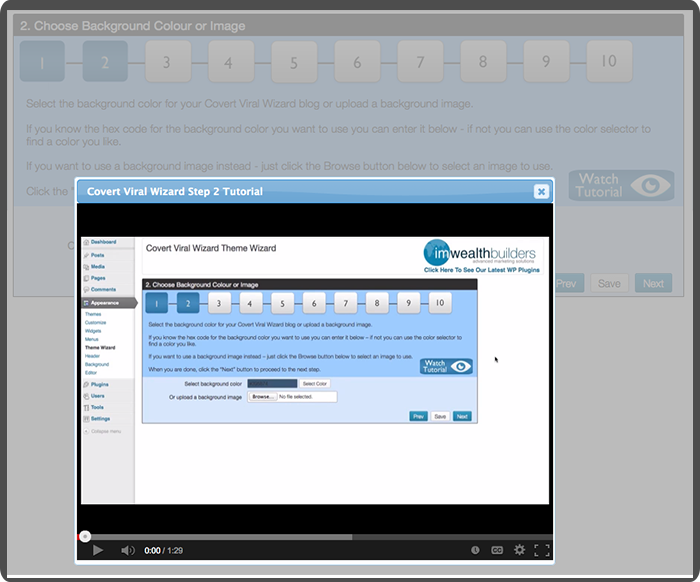 But I'm very glad we persevered - because the end result is by far out best and most advanced WordPress theme to date... In fact it's most likely the most powerful & easy to use theme you have ever seen! Covert Viral Wizard is a super simple to use WordPress theme and it only takes one click to install! That means it will work on any computer, all you need in order to use it, is a self hosted WordPress blog. The theme is designed to mimic Tumblr to tap into the familiarity, loyalty and conditioning they have already built. Covert Viral Wizard looks like a mix between the Tumblr dashboard and the hugely popular redux theme for Tumblr. The look below is how a Covert Viral Wizard site looks "out of the box"... Yep, your first site will look this good without you having to fiddle with any settings to achieve it! Now what happens when people visit this site? In fact most of them will think they are on Tumblr - instead of on your WordPress blog. The love to follow, like and reblog! When they click reblog they will instantly reblog your post to their own Tumblr blog - netting you high quality social back links and traffic on auto pilot! And when they click the heart they will like you post on Facebook for even more If they click the "heart" button - they will actually like your post on Facebook. This happens entirely in the background and posts your image, text and most importantly your link on their Facebook wall for ALL their friends to see. In our test this has proven to be a massive viral traffic generator! On the sidebar they will also find the "Follow on Tumblr" button - when they click this they will follow any Tumblr blog you want them to. 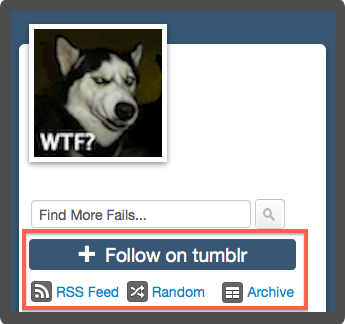 The "Random" link - each time they click this they will go to a random post on your blog (again is this is very familiar and often used by Tumblrs). And there is the archive page which also looks exactly like on Tumblr - and that's a lot better than standard WordPress! 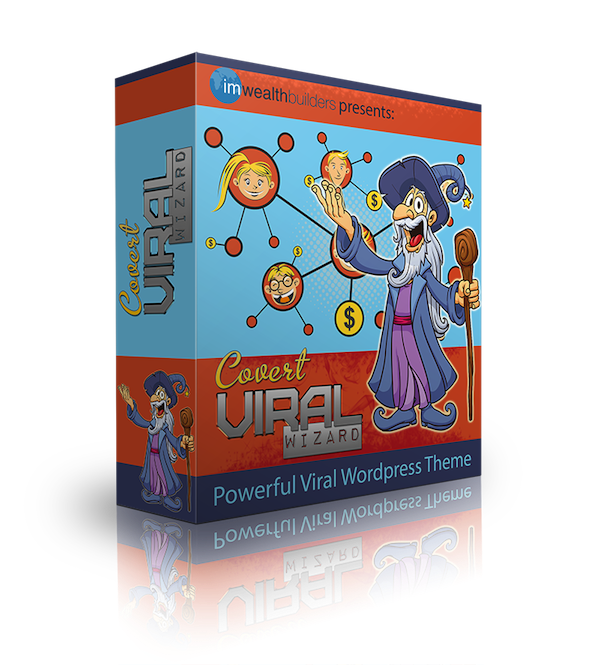 As you can see the Covert Viral Wizard theme looks like a million bucks - it looks and functions just like Tumblr - but with the added power and control of having it on your own WordPress blog. We've have already discussed how images are the most shared form of content on social networks. And in true Tumblr style, the Covert Viral Wizard theme has been designed to capitalize on this. All you have to do post interesting images and photos - or videos as the theme works really well with Youtube videos too! Then you write a title for the post and an optional description for the image. That's all you need... Gone are the days of writing page after page of boring articles that nobody wants to read anyway! Yet you will still be generating more traffic than ever before. 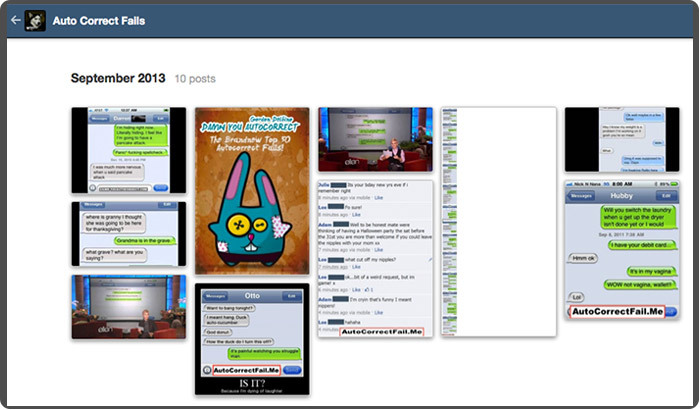 The Covert Viral Wizard theme lets your visitors comment on your posts using Facebook comments! It will also result in free links and loads of viral traffic to your blogs. Because every time someone comments on a post on your blog - it will be posted on their Facebook wall complete with a link back to your site! 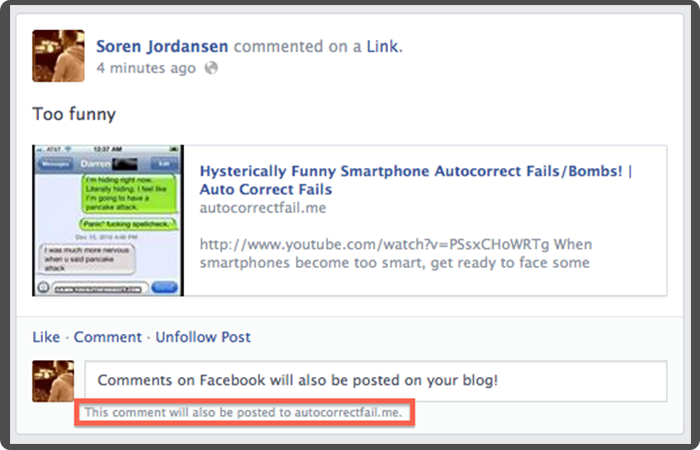 And notice how, if people comment on that Facebook post, the comment will also automatically be added to your blog! Especially when you post images and videos - the #1 thing people like to comment on and share on Facebook. You don't have to sit around twiddling your thumbs, waiting for an algorithm or other people to send you traffic. 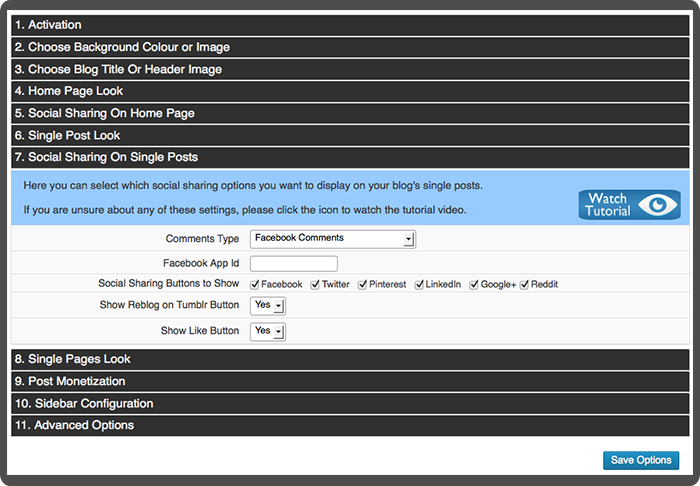 After adding your first post to the theme you can share it on social networks yourself, to kickstart the traffic. We went from zero to 350 visitors overnight! And this was done using two brand new Tumblr and Reddit accounts with absolutely zero history or followers - in other words you can do the exact same thing! Your traffic will quickly snowball! The theme comes with 5 widget ready areas - including sidebars for all posts and pages and footer. Covert Viral Wizard also has inbuilt theme ads. You can use these for anything you want, including banners, Google Adsense, Amazon widgets, custom HTML etc. 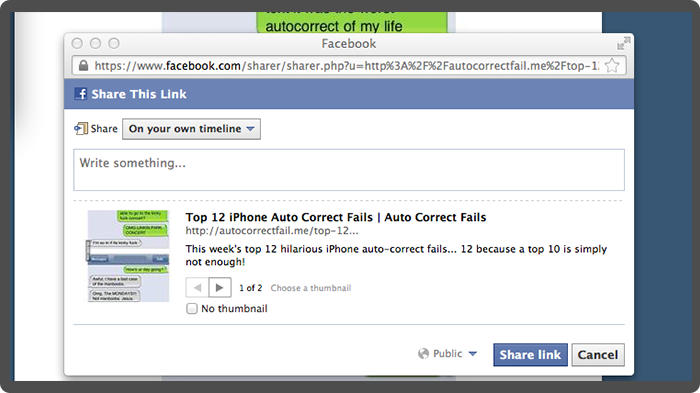 The ads will then automatically be inserted at the bottom of each of your posts. If you set up more than one ad (you can have 5 in total) they will be randomly rotated. You can even set the ads to appear on the front page of your blog too. When you first install Covert Viral Wizard you will go through a super easy step by step wizard, in order to configure exactly what you want your site to look like and how it should work. The wizard remember what point you got to and carry on from there the next time you log in. You can set up your sites, completely at your own pace. Step-By-Step Set Up Guide: this PDF will walk you step by step through how to set up a Covert Viral Wizard site. It's so detailed you could just hand it to an outsourcer and tell them to "go build!" Full Video Tutorials: showing you how to install the theme. Plus walking you through all the technical stuff you need to know in order to run a profitable Covert Viral Wizard site. And there are indeed other themes like this on the market. Well only really one... And it sells for $197 - for a SINGLE site license. Obviously people are willing to pay big money for a simple to implement technology that has been proven to increase your rankings, clicks, subscriptions, sales and traffic. But right now, and from this special page only... You can get your hands on the Covert Viral Wizard theme for a fraction of that! Yep, you read that right! If your order the Covert Viral Wizard theme from this special page today, we'll even include multi-site and site flipping license at no extra cost! 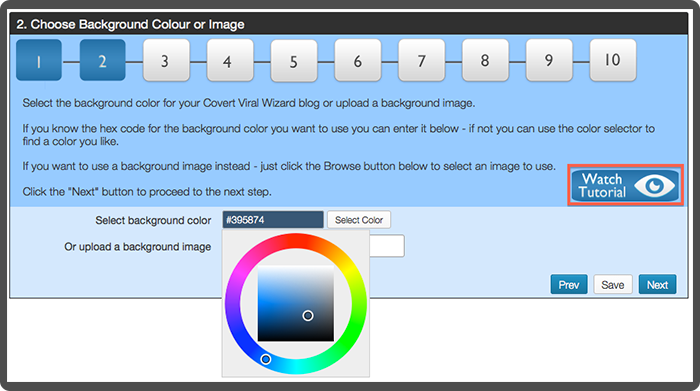 Use Covert Viral Wizard on as many of your own blogs as you like - existing and future ones! You can even use Covert Viral Wizard on blogs you build for clients or on blogs you flip for profit!